There's a rumor circulating that researchers need Evidence Explained because it provides models for citing historical sources. But there's more to EE. Much More. That's why it is named Evidence Explained rather than Cite Your Sources. Sources give us information, from which we extract bits and pieces that we use as evidence for whatever we are trying to prove. But what if we don't understand the sources we are using? Do we know the differences between types of sources that carry similar names? A pluperfect citation is not going to correct an erroneous interpretation. Understanding our sources is critical to protect against the perpetuation of misinformation. court docket books, minute books, and record books? deeds and deeds of trust? fair copies and record copies? land warrants and land grants? marriage banns and marriage bonds? marriage certificates and marriage registers? marriage contracts and marriage inquisitions? military service and militia service? morganic marriages and clandestine marriages? survey plats and land-ownership maps? EE's explanations of records cover all this and much more. When you use EE, we hope that you take the time to read the discussions about records, rather than just look up a model. 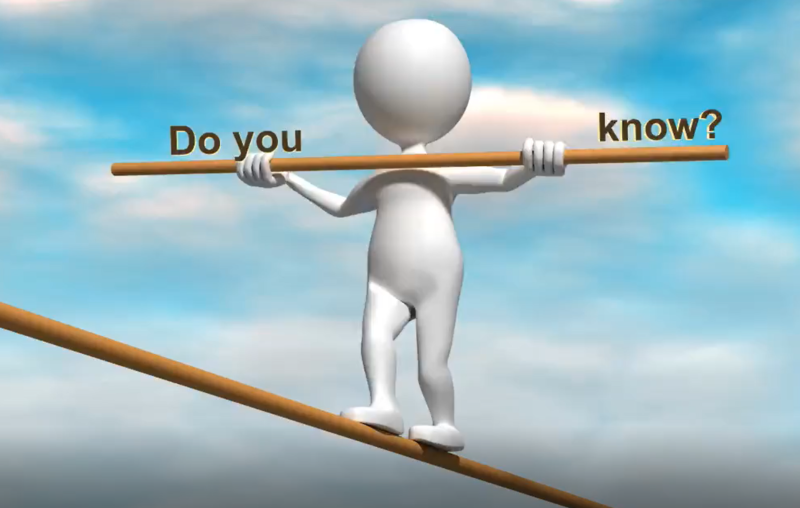 PHOTO CREDITS: Adapted from "Stick Figure Tightrope Text," customizable GIF, Presenter Media (https://www.presentermedia.com/index.php?target=closeup&id=9718&categoryid=&maincat=video : accessed 8 February 2019), item 9718; used under license. HOW TO CITE: "Elizabeth Shown Mills, "Do You Know?" blog post, QuickTips: The Blog @ Evidence Explained (https://www.evidenceexplained.com/quicktips/do-you-know : posted 8 February 2019).